Rome is a city like no other, protected by a man like no other.. 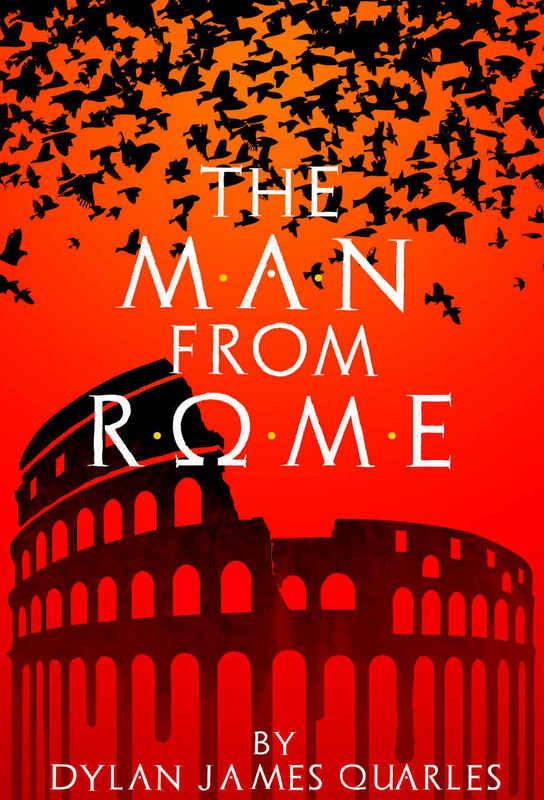 The Man from Rome is truly one of the most enthralling novels I’ve ever read. Original, exhilarating, fast-paced and different, its intertwining threads of plot weave together to ensnare and mesmerise the reader. I love the transposition of the great Greek and Roman myths to modern day Rome. Rome is protected by an ancient and immortal guardian known only as “The Man from Rome” and is served by his mortal “Orphanus”, stray children groomed as his warriors. One of these “Orphanus”, Leta, has been found brutally murdered, with molten silver poured down her throat. Charged with winning justice for her are fellow Orphanus, American petty thief Cato Fin, who quickly feels out of his depth, and feisty cop Louisa Anastasi. Pitted against the Man from Rome, and hell-bent on the city’s fiery destruction are the sinister and enigmatic Mr Hannity, four brutally strong wind deities resurrected in an occult spell, and an ancient goddess of Mount Olympus. The Man from Rome’s enemies writhe in the throes of a quest for vengeance that will never surrender. I have seldom read any book whose dark mystique succeeded in bewitching the reader enough to want more, but not irritate them or throw them out of the story. Dylan is one incredibly talented writer, and I thoroughly recommend his work. His rich use of language is gripping and lucid. His ability to build tension and create an atmosphere are stunning. His writing is unusually sophisticated for a self-published author. His use of verbs is amazing. I had to read his evocation of the God Apollo and the fight scenes at the end several times, because they were so good. Thank you, Dylan, for the best read I’ve had in ages, and well done. With a passion for films, music and writing, Dylan even had the honour of being featured in the Port Townsend Film Festival for his short film “La Nuit Des Vampires”. After high school, he attended The Evergreen State College in Olympia where he directed two more films, “Resurrected”, and “House On The Borderland”. Shortly thereafter, work began on The Ruins Of Mars Trilogy and the next chapter of Dylan’s life opened wide. Would you like to have your book reviewed as Book of the Month on this website? All reviews are duplicated on Amazon UK and US and on Goodreads, and shared on all my social media. If you would like your novel to be considered, contact me at lelacaille@gmx.co.uk or via Facebook or Twitter. Please note I cannot review anything that is offensive to my Christian faith.